Incredible for birthday parties, schools, festivals, and churches. Book your own special North Carolina Face Painter at low prices! Hire this North Carolina face painter for your child’s birthday party or any event. You could hire this North Carolina face painter and get unlimited face painting and balloon twisting! Kids and teens love it, as well! Our North Carolina face painters can get you painted from small designs to half face or full face painting. Ideal for a teenagers or any youngsters’ event. Transform your party attendees with our face paint services! 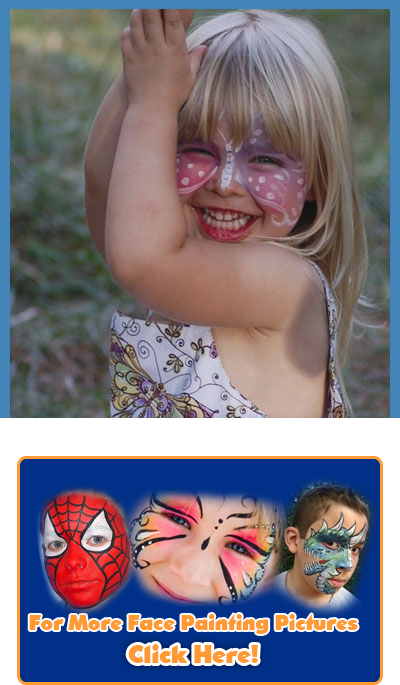 Our face painters offer designs for any occasion – birthday parties, churches, schools, or festivals. Full faces, half faces or small cheek designs by Magic by David’s team of artists are sure to TRANSFORM your party into colorful and sparkly event to remember! We invite you to share the experience with us, hire Magic by David’s service for your next event. Biggest face painting and balloon twisting company in North Carolina – with 12 full time painters! North Carolina face painters can paint and keep with any theme – superhero birthday party, Elsa Frozen birthday party, Paw Patrol birthday party…yes we can paint that. Our North Carolina face painters use the best paint in the United States and the #1 balloons in the world.